Silly Season’s rumors about goalkeepers exceptional turn-over are more insistent than ever. Chelsea’s Petr Chech, is set to open the ball; his transfer(and his personnal coach, Christophe Lollichon) to professor’s Wenger Arsenal, is the best kept secret in town. More will follow, but why spend Millions when you can buy French quality goalies without ruin your club’s finances? Hugo Lloris cost only £8 M + £2 add-ons, remember ? St Etienne’s number one, is also a French International(2 Caps). The 28-year old was born in Bayonne and as a native Basque, he began his sports career by playing Basque Pelota, like his father, Word Champion Jean-François Ruffier. Nevertheless, Football’s attraction was stronger and the youngster joined Aviron Bayonnais football section, first to train as striker, but due to a goalkeeper shortage, he finished his training between the sticks and the rest is as the French say, History. He was only sixteen, when he was spotted by Monaco’s scout Arnold Catalano ( the same one who discovered Thierry Henry) and joined Monaco’s Youth Academy. He played at all levels and joined the professional team in 2006. He left “Le Rocher” after the club’s relegation to Ligue 2 (2011), to sign to St Etienne, rejecting Manchester’s City offer, because he wanted playing time and Man. City wouldn’t offer the same opportunity. Since then he’s the undisputable number one, but he’s convinced that he can do better than playing for “Les Verts”. Since last year he did and said all the right things about a transfer, but writing all over him “COME AND GET ME”. 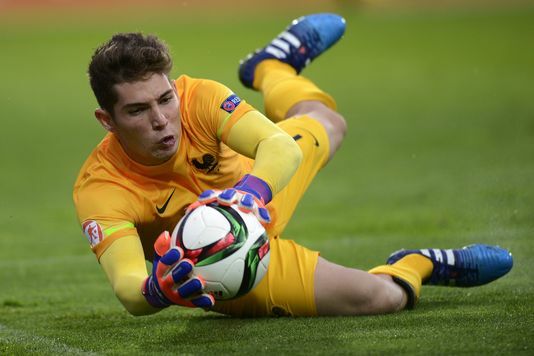 His dream is to be France’s no 1 but with Lloris firmly in place he needs a more important club to shine and St Etienne could sell him if the price is right. Now this is an interesting case; Lecomte is still young( 26/04/1991) and can be even better with the right coaching. He was born in Paris, but he joined Lorient when he was only fifteen and played with this club at all levels. Despite his young age and inexperience, he’s highly rated; he’s on Salvatore’s Sirigu (PSG) level( both finished sixth in France Football’s star-rating). He could be perfect as number two in any Premier League’s club(but the Big Four) and a good number one in a couple of years time. This one is really good ! 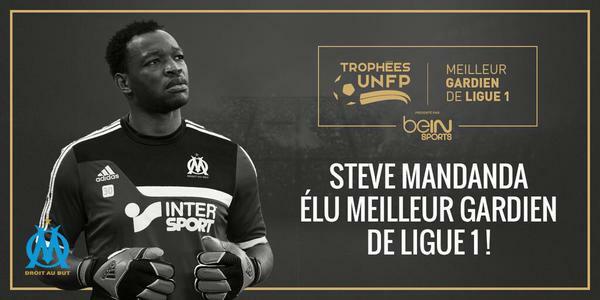 Best Ligue 1 goalkeeper 2015, playing in a prestigious club, Marseille’s best, but keen to leave France’s sunny South for Premier League’s fog, rain and snow ! COME AND GET ME is written all over him and not only for the money(PL’s generous wages are very well known and appreciated) but for the game. The 30-year old( 28/03/1985) want more than Ligue 1 football. France’s national team number 1 (19 Caps) untill Hugo Lloris arrival, he wants to show off and maybe regain his place for France’s EURO 16 . Rumors sent him to PSG, as Sirigu’s replacement but Laurent Blanc the club’s Head coach, is very keen on signing Lloris if not this year(PSG are still under UEFA’s financial fair-play interdiction) then next season. The player’s agent is currently on talks with Valencia FC; the french custodian’s transfer fee won’t be very high, his contract with Marseille is untill June 2016. Buy a ZIDANE, quality garanteed ! Yes, why not ? 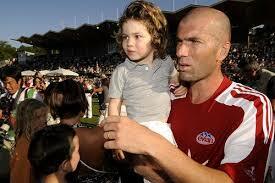 Not the father of course, but Zidane’s Family four sons are as talented as their Ballon d’ Or papa, was. The second born, Lucas Zidane aged 16 is a goalkeeper, because his eldest brother Enzo, wanted to be the one who did the shooting so the younger obliged by catching the ball. The young custodian plays for Real Madrid and has shown his worth just lately, by helping France’s U-17 win EURO 15 ! The youngster played all the games conceding only once and saved 3 penalties, he’s at least very promising ! 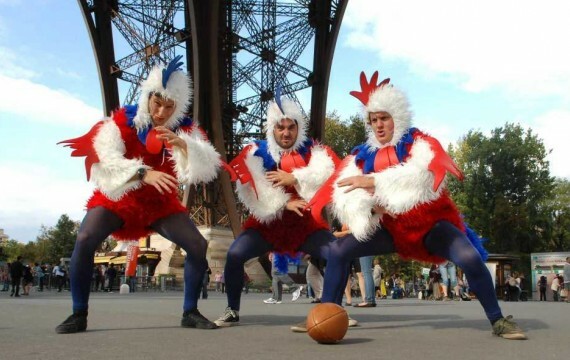 There’s a bit IF of course; his Daddy, who’s very protective and papa poule when his family is concerned; it’s worth a try though , but who will be brave enough to face the French legend, that’s another story…. ‹ Silly Season’s Week – End Rumors and signings.